In March the School of Optometry and Vision Science opened its newest specialty clinic for the treatment of Dry Eyes to the public. It’s been an exciting few weeks as we start to see patients making use of the service offered and there is certainly a huge demand from patients. The staff and students have embraced this latest initiative with enthusiasm. The students are learning first-hand how to properly diagnose and manage Dry Eye with a very hands-on approach using the latest technology. 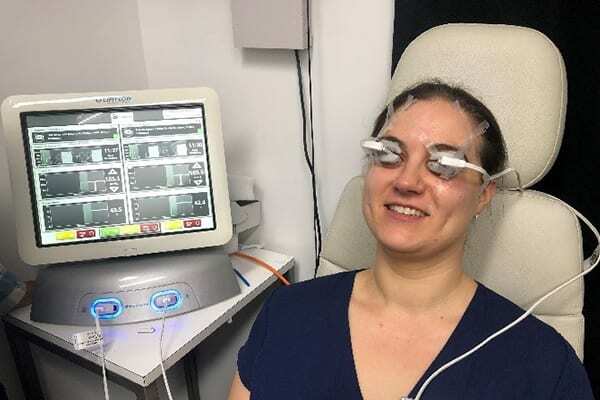 Staff received extensive training on the Lipivew II, which is used to view the lipid layer with interferometry and video blink dynamics, and also the Lipiflow treatment which uses thermal pulsation to treat Meibomian gland dysfunction. Another training session was spent on IPL treatment, which is Intense Pulsed Light used to treat Meibomian gland dysfunction. Feedback so far from staff members who were treated has been extremely positive. The clinic is running on Wednesday afternoons, with four Part V students seeing patients under the supervision of Marcy Tong (PTF) and with the assistance of Alex Muntz & Sanjay Marasinil (PostDocs from the Ocular Surface Laboratory). ​The support of everyone who has been involved to help get things to this stage has been greatly appreciated.